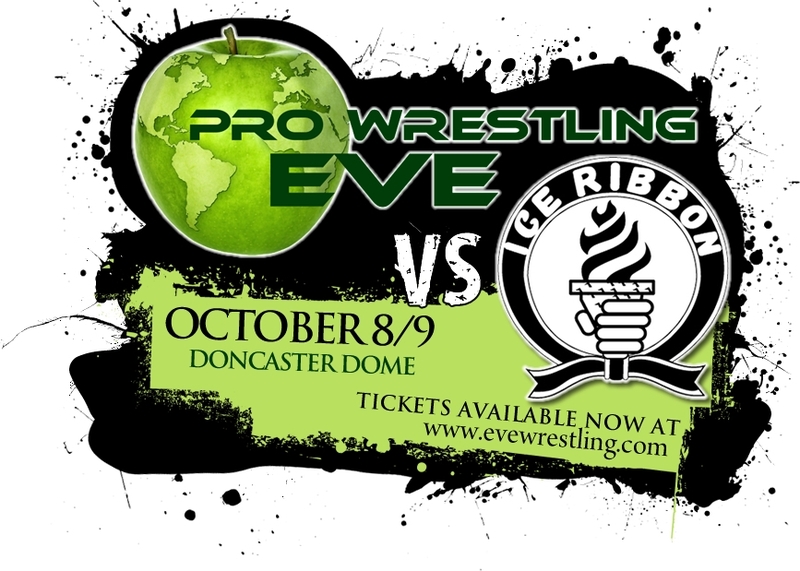 Pro Wrestling: EVE and Ice Ribbon have announced that they will hold an 2-day inter-promotion event in the UK at the Doncaster Dome this October, which will see the Joshi Puroresu stars of Japan take on some of the best female wrestlers that Europe has to offer. Though it hasn’t yet been decided who will be representing each promotion, both are sure to send out those that they feel are the best to do so. The shows will open the doors at 2pm and kick off at 2.15pm on the 8th and 9th October 2011. This isn’t all that is scheduled to go on that weekend at the Doncaster Dome however, as not only will 1PW be holding their own shows in the evenings of both days and have an appearance by Vader, but the WWE Hall Of Famer, “Heart Break Kid” Shawn Michaels will be there both mornings for a special fan convention! For a taste of what you can expect from the EVE vs. Ice Ribbon inter-promotional event, check out the fan-made mash-up video below. You can buy Pro Wrestling: EVE DVDs, tickets (including for the aforementioned inter-promotional event), and posters at EVEWrestling.com, follow and interact with them on Twitter (at @ProWrestlingEVE), Facebook (at facebook.com/EVEwrestling) and YouTube (at YouTube.com/user/ProWrestlingEVE). You can buy 1PW tickets, DVDs, and other merchandise, as well as tickets to the Shawn Michaels UK Tour at oneprowrestling.com. You can also follow and interact with 1PW on Twitter (at @1PW), Facebook (at facebook.com/official1PW) and YouTube (at YouTube.com/user/official1PW). You can follow and interact with Ice Ribbon on Twitter (at @IceRibbonEurope) and Facebook (at facebook.com/pages/Ice-Ribbon-Girls-Pro-Wrestling/113657958693045), check out their website (at ice-ribbon.ne07.jp – note that it is in Japanese), and Tumblr (at iceribbon.tumblr.com). You can follow Shawn Michaels on Twitter at @ShawnMichaels_, and Vader at @itsvadertime.